Complete gem mining package that is educational as well as providing great entertainment for family time, birthdays, reunions or anytime. 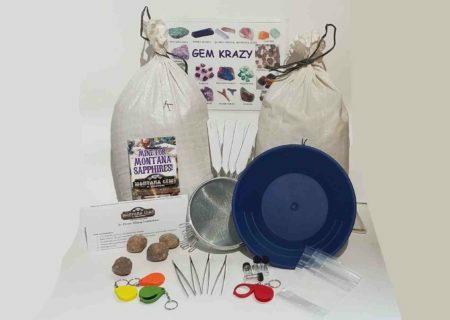 This mining package contains 2 bags of our Gem Krazy mining material as well as 4 each of the following: gem screens, loupes, geodes, gem vials, tweezers, baggies and gem Id cards, plus one gold pan and mining instructions. Fun for all ages! !